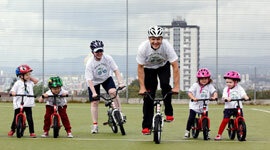 Cycle Training Assistants deliver Bikeability Scotland Levels 1 and 2 training to children. 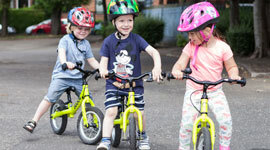 Cycle Trainers are able to deliver all three levels of the UK National Standards of cycle training to both children and adults. This course supports Cycle Trainers to take on the role of instructor trainers and deliver the Cycle Training Assistant (CTA) course. 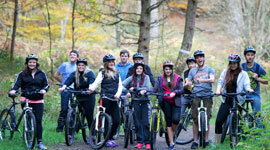 Cycle Ride Leader supports candidates to develop the skills and knowledge to lead groups on cycle trips. 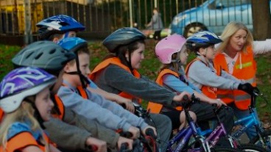 A one day course that mirrors the outcomes of the Cycle Ride Leader programme and is designed for anyone introducting cycle activities to groups with additional or specialist needs. This one day course empowers candidates to deliver the Play on Pedals activities within their nursery or early years center. 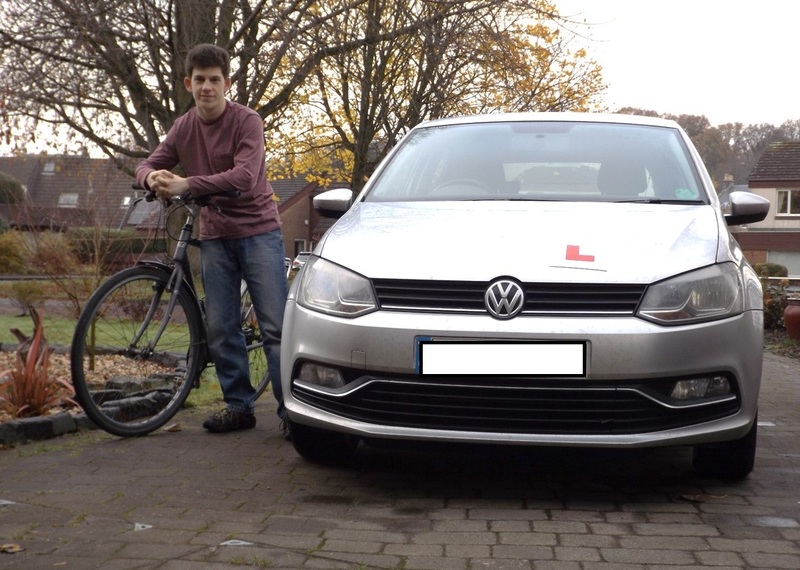 A JAUPT accredited course for professional drivers including a practical cycling module. A three hour case to increase hazard perception and awareness of vulnerable road users includng people cycling. Aimed at people learning to drive and those who drive for business. For those who want to improve their cycling skills and confidence. Go Mountain Bike Instructor Orientation supports existing instructors and leader to deliver Go Mountain Bike skills sessions. Cycle Patrol provides skills and knowledge to use bikes as part of patrol duties. 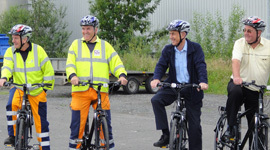 The ECS Orientation supports Cycle Trainers to deliver the Essential Cycling Skills training courses to adult learners. This one day course qualifies candidates to train others as Play on Pedals Instructors. A 16 hour, practical, scenario based course designed as an introduction to first aid in an outdoor or remote environment. 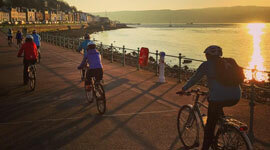 CPD course for Bikeability instructors.. 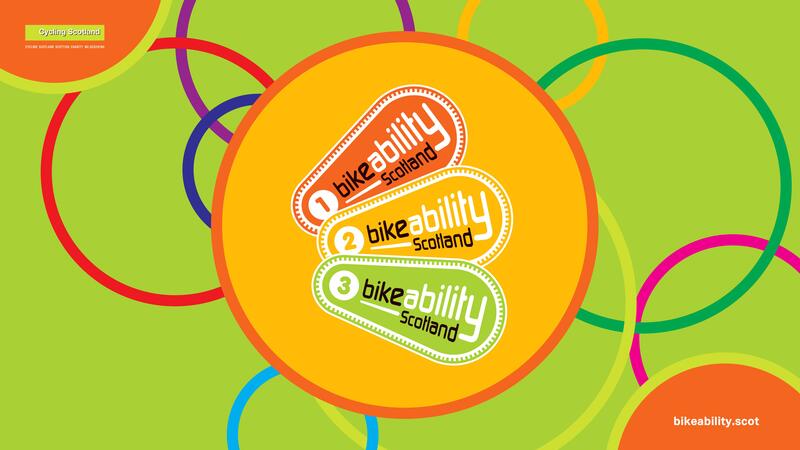 The Bike Set Up, Maintenance and Roadside Repairs Workshop is a 3-hour practical training workshop that provides instructors with support to gain experience and knowledge..
CPD course for Bikeability instructors. The Riding Skills for Instructors Workshop is a 3-hour practical training workshop that provides instructors with support to develop their own personal riding skills. 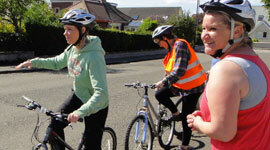 CPD course for Bikeability instructors. The Teaching Complete Beginners Workshop is a 3-hour practical training workshop that supports instructors to develop the cycling skills of those who cannot ride a bike. CPD course for Bikeability instructors. The Level 2 Refresher Workshop is a 3-hour practical training workshop that supports instructors to develop their own personal riding and instructional skills. CPD course for Bikeability instructors. The Instructional Techniques workshop is a 3-hour practical training workshop that supports instructors to develop their instructional skills. 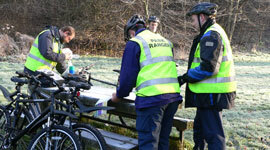 CPD course for Bikeability instructors. The Group Management workshop is a 3-hour practical training workshop that supports instructors to develop their group management skills. 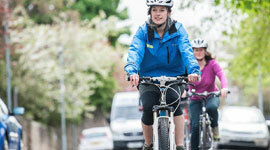 CPD course for Bikeability instructors. The Managing Risk and Risk Assessment workshop is a 3-hour practical training workshop that supports instructors to develop their risk management skills. 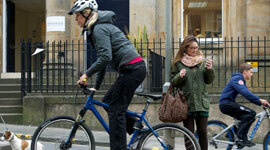 CPD course for Bikeability instructors. The First Aid workshop is a 6-hour practical training workshop that supports instructors to develop their first aid skills. 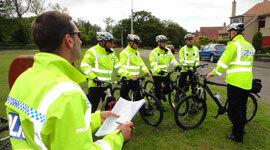 CPD course for Bikeability instructors. 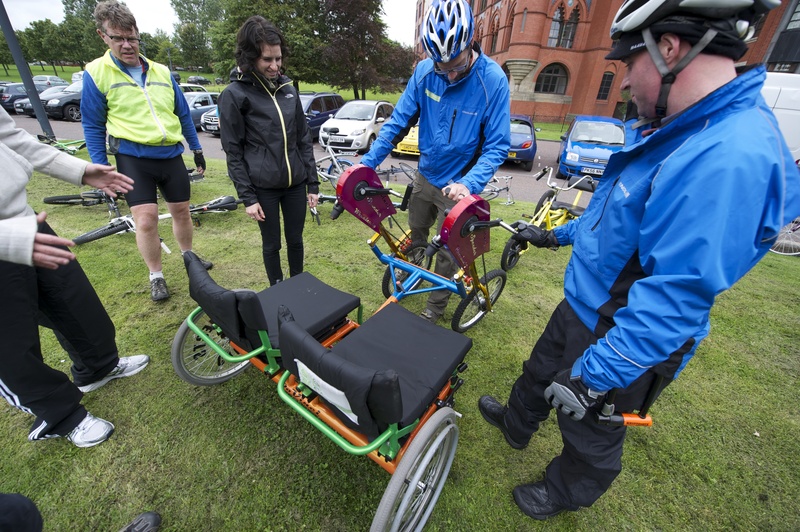 The Delivering Inclusive Cycle Training Workshop is a one-day course that provides instructors with support to ensure cycle training sessions are inclusive to all trainees.. Course for experienced Cycle Patrollers. A CPD module for professionals and anyone delivering cycling projects, introducing the key priniciples and knowledge of Planning and Designing for cyclists. 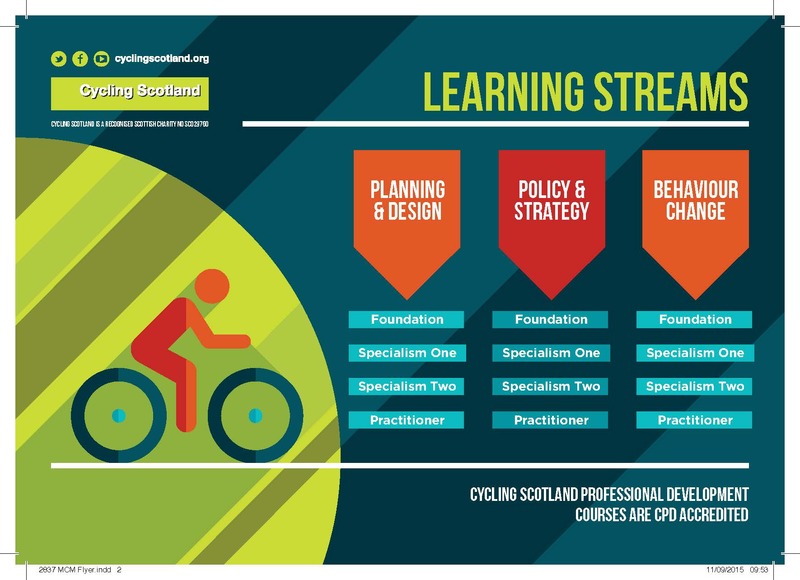 A CPD module for professionals and anyone delivering cycling projects to examine the policy and processes involved in planning cycling infastructure. A CPD module for professionals and anyone delivering cycling projects to examine the key points in the design of new infrastructure, including identifying origins, destinations and suitable corridors. A CPD module for professionals and anyone delivering cycling projects to understand the principles and benefits of behaviour change. A CPD module for professionals and anyone delivering cycling projects to understand and use marketing strategies and communication campaigns to promote behaviour change towards cycling. A CPD module for professionals and anyone delivering cycling projects to understand how best to use social media, websites and adverts to promote behavior change towards cycling. 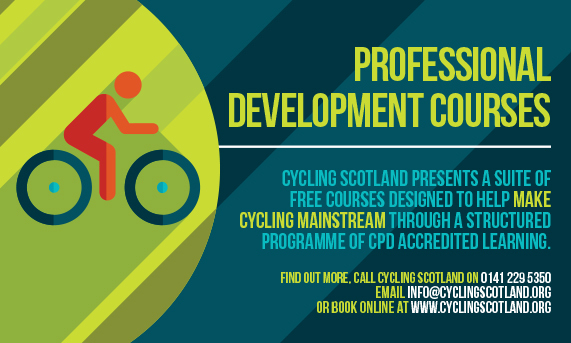 An orientation course for industry experts and skilled facilitators to deliver Cycling Scotland's 'Making Cycling Mainstream' CPD courses. A self-supported exercise to demonstrate application of skills and knowledge gained during the Making Cycling Mainstream CPD course.